This 2017 file photo shows drummer Vinnie Paul. 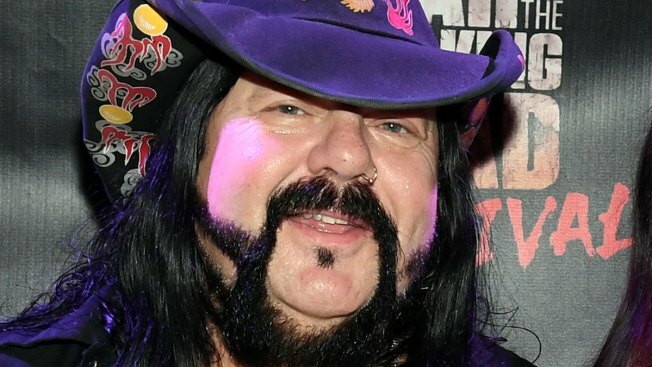 Vinnie Paul, co-founder and drummer of the legendary North Texas heavy metal band Pantera, is dead at the age of 54, according to a post published on the band's official Facebook page late Friday night. No details of Paul's cause of death have been released and the family has requested privacy. He died in Las Vegas where friends say he had a home. Vinnie Paul Abbott, a longtime resident of Arlington, celebrated his 54th birthday in March. Along with his brother "Dimebag" Darrell Abbott, Paul co-created Pantera in 1981. The heavy metal band would go on to release nine albums and earn four Grammy nominations for Best Metal Performance before splitting up. The brothers, who had a longtime relationship with The Dallas Stars, created a song that became synonymous with the team's 1999 Stanley Cup win. It played at the rally when the team came home from Buffalo. Fans chanted it during the Stanley Cup parade in downtown Dallas. It still plays everytime the Stars score a goal. "Every time I walk in and hear it, it blows me away. I mean you know, my brother's no longer with us so I get to hear his guitar playing every night, every time they score a goal," Paul told Fox Sports Southwest during a recent interview. "It's part of our identity," said Dan Stuchal, the Vice President of Brand and Broadcast for the Dallas Stars. Stuchal was with the team in 1999. He said one of the first stops the Cup made after its return to Dallas was Paul's home in Arlington. "Outside of being a fantastic musician, when you get past the gruff exterior of his heavy metal swagger he was a gentle human being who had a pure soul," Stuchal said. In 2003, Paul and his brother co-formed another North Texas-based band -- Damageplan. Tragically, during a concert in Columbus, Ohio in December 2004, Paul's brother "Dimebag" Abbott was gunned down while performing at a club. Three others died in the shooting.